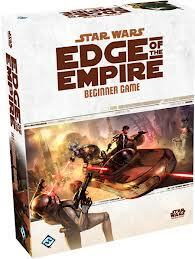 This Tuesday 13 August at Lunch (12:30-14:00) and Afternoon (16:45-19:00) time, JL (3312) will run a Beginner’s game for the new Star Wars RPG. Lunch: we’ll have lunch together, then go to the Hobby Room to distribute the pre-generated characters and start the scenario. 12h:30-14:00 in the Hobby Room (lunch at 12:00). Evening: we’ll go on and probably finish the scenario, as it’s a short one meant to learn the basic mechanics of the game. 16:45-19:00 in the Hobby Room. There are still some slots available, so please contact me (JL; 3312) if you want to take part in the game. Yo don’t need any previous experience with RPGs and you probably know the basics of Star Wars, so that should be enough.